Trudi called. 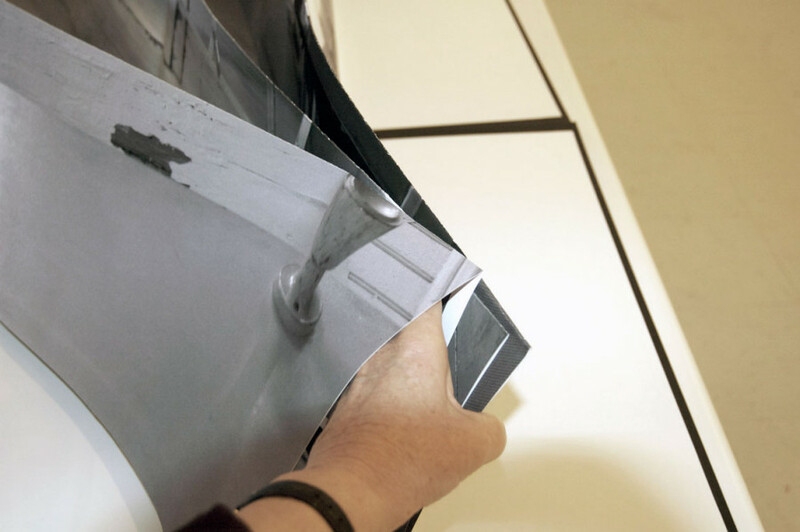 She had rented a studio space in Victoria’s Chinatown, 562 Fisgard Street, 3rd floor. I visited. This studio was the same one I had worked in over thirty years ago. Little had been done to the interior since that time, layers of white paint, mahogany plywood nailed over narrow vertical pine boards. 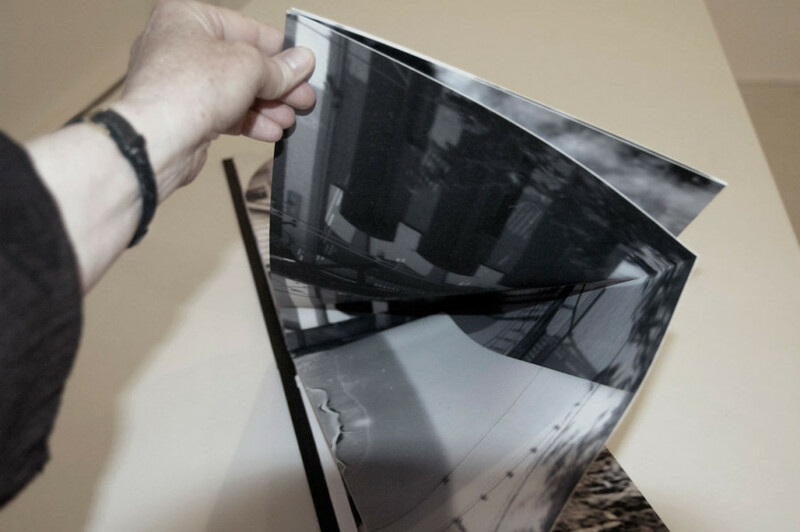 The layers, a suggestive archive of a place over time: A rooming house for migrant Chinese workers, a shrine room, a school, a backdrop for art production? 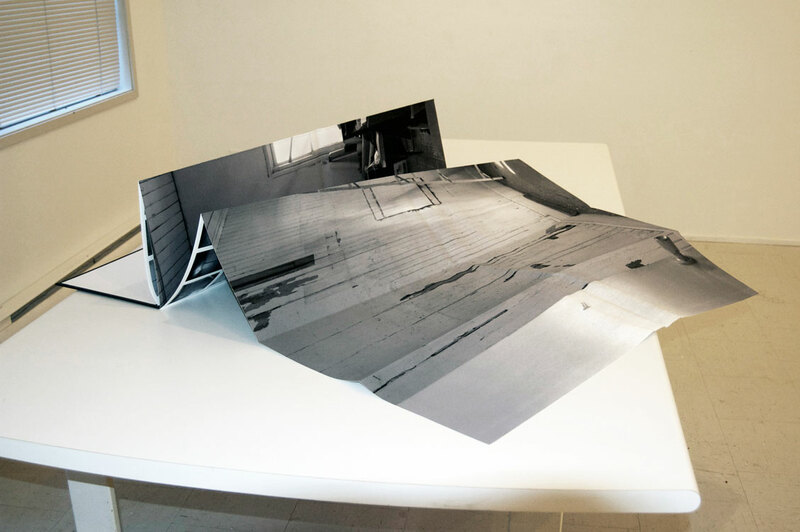 We decided to embark on a collaborative project that would involve photographic archives and studio space and thus the two volume artist book, 562 Fisgard St. came into being. 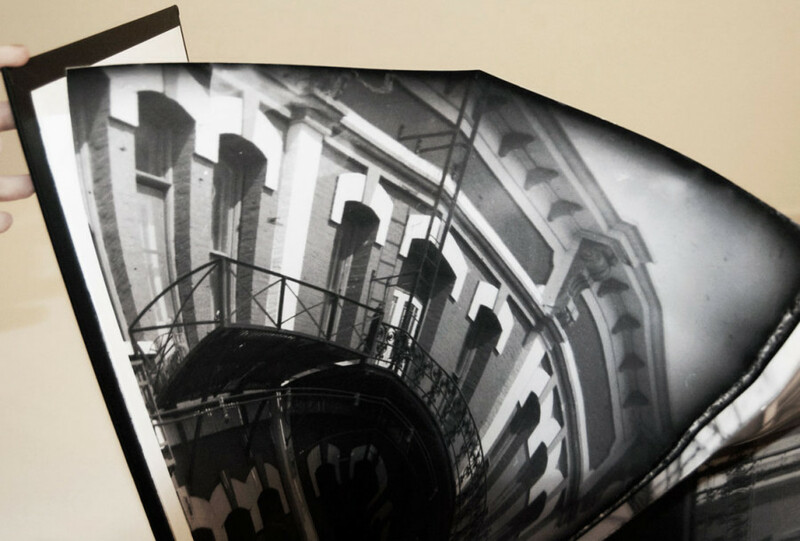 The project led us into archives, and then to documenting the studio inside and out in photographs, filming the studio and our actions in it, learning how to make dry plate negatives in the darkroom, printing, folding, book making, conference paper writing. 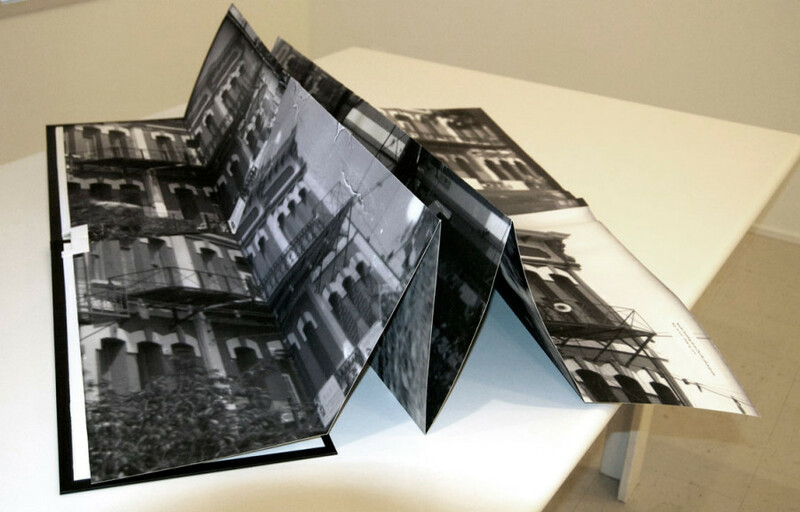 Once printed, four 44” X 60”photographs form two fold-out books. 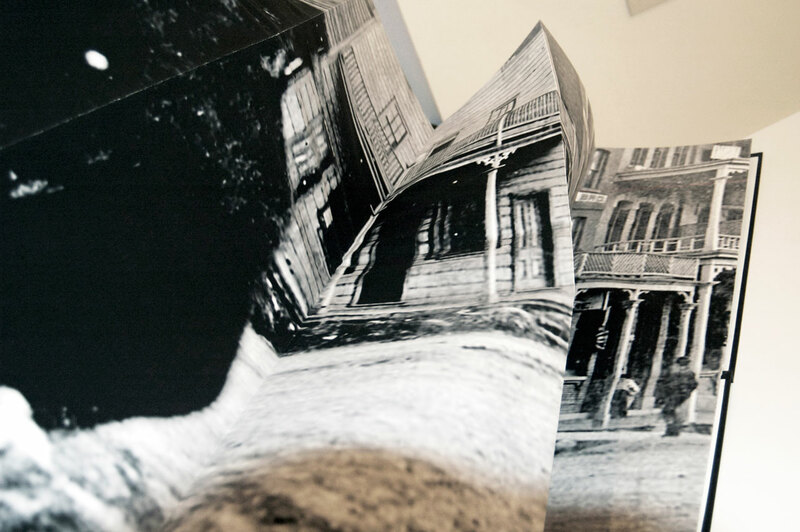 Through the act of folding and unfolding, images juxtapose in various ways to create new comparisons and new readings. 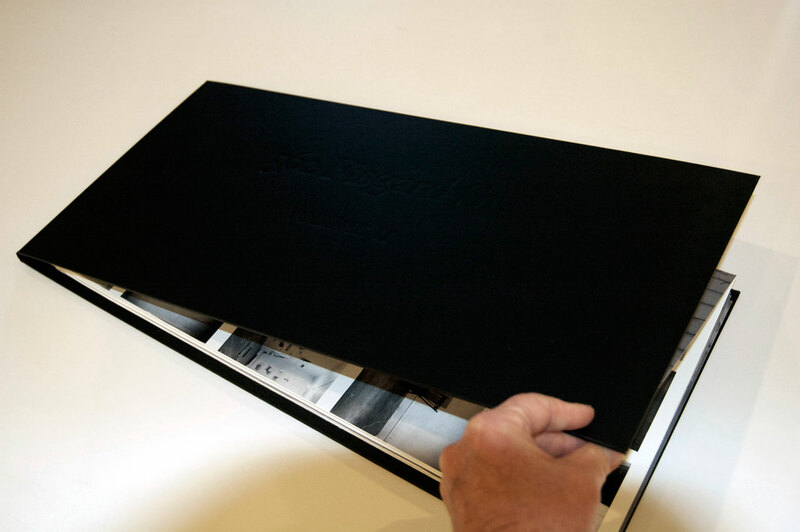 Each volume consists of one accordion folded page 43 ½” X 60” printed on both sides; archival giclee on 100% rag paper; hardbound cover with embossed title for each volume.